Knowing when to listen and when to talk creates the right balance in a communication. If you want to further develop your personality, consider joining the Assertiveness & Self Confidence Training Course by pdtraining in Boston and other cities in the U.S.
People are generally divided into talkers and listeners. Some people talk more and listen less, and some listen more and talk less. Sometimes, circumstances and situations also impact the communication of people. Many people become reticent with strangers or in unfamiliar surroundings. Some begin to talk more when excited. In most situations, however, it is best to maintain a balance between listening and talking. 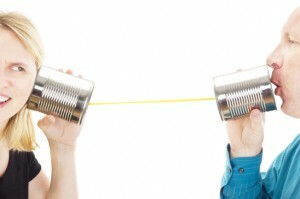 Also, for a good communicator it is vital to know when to listen and when to talk. To create a balance between listening and talking, you need to determine whether you are a listener or a talker. Apart from your own judgment, you may take the opinion of others to accurately determine your characteristic. After you are clear on whether you are a listener or a talker, you may then work on developing your listening or talking skills, depending on which one of these you lack. If you are a natural talker, then you need to remain conscious of how much you speak when you do. To make it easier to cut down your responses, do not speak for more than fifteen seconds continuously. Allow the other person to respond after you have spoken for fifteen seconds. Creating such a deadline will make your communication more focused and targeted. 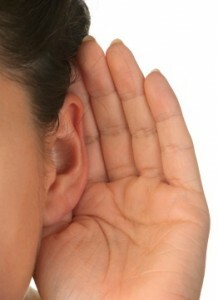 If you maintain this habit, you will find that you have become as willing to listen as to talk. If you are a natural listener, then you need to practice responding verbally to others. You may listen to another person until they have finished what they are saying and then add to the conversation. When you begin talking, make sure that you talk for at least fifteen seconds or more at a time. This will reduce your tendency of using only encouragers such as ‘hmm’, ‘That’s right’, ‘I understand’ or ‘yeah’ in responses, which most listeners use to avoid talking at length. An effective way of showing that you are intently listening to someone is to ask them questions. Also, questions allow you to get the other person to talk. If both you and the other person are listeners, then you can use questions to get the other person to talk more. When asking questions, make sure that you time them appropriately. Do not cut off the other person in the middle of a conversation. Allow them to finish and then ask them something relevant to what they had just said. You may also use questions to initiate a conversation. Ask questions about things that both you and the other person are interested in. You can begin a great conversation if you do.